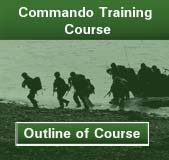 It is a well known fact that the military training conducted by Royal Marines is amongst the most arduous and demanding of its type in the world. Follow each Troop week by week as they go through the thirty-two weeks of intensive training to become a Royal Marines Commando. To view each troops diary use the links to the right.